16 inches long with 5 inch soldered extender chain. Lead and nickel free. Stainless steel chain. 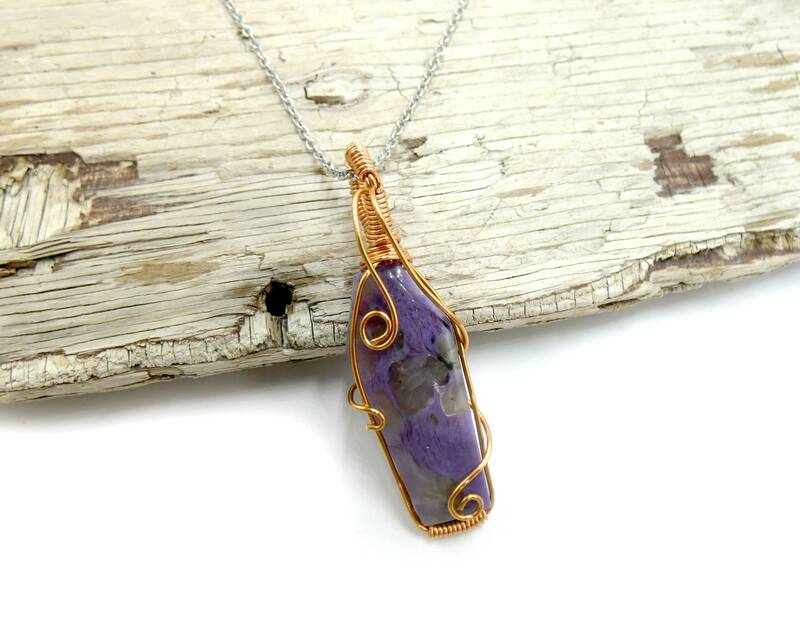 Charoite is a rare mineral and the stone of connection. Wrapped with raw copper.